PopPopMan.co.uk - Addressing the question or questioning the address! This Christmas millions of excited children will attack and destroy brightly coloured display boxes and intricately moulded packaging, in a frantic attempt to access some new toy or other. I'm very glad that someone, eighty odd years ago, did not do that to a rather plain cardboard box, which contained one of the, then, new fangled diaphragm type "pop pop boats". I've owned a couple of these boats for number of years, but only recently embarked on an internet voyage, which would lead to some interesting discoveries. 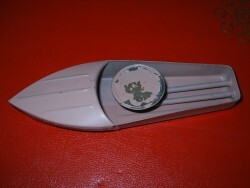 The simple printed label on the box refers to its contents as a "POP POP THE JET SPEED BOAT (British Made)", precise running instructions follow and the final piece of information is Makers. Messrs.H R Napp Ltd., 3-4 Clements Inn, London, W.C. The boats measure approx. 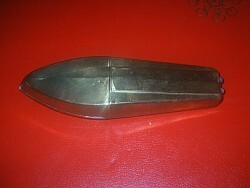 7" (16cm) long and have an unusual circular engine. 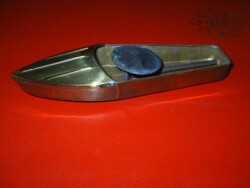 The hull appears to be made of brass, one painted, one unpainted (see pictures). My quest for more information led in two directions. Who was H R Napp and when did he work at Clements Inn? The internet yielded a variety of information on the address in question. I was amazed to find that in 1915 it was the site of the Public Trustee Office and that in June of that year a certain Mrs Smith, widow of the tragic Captain Smith of the Titanic, was mentioned in a letter regarding her concern that a claim for an allowance for the four orphaned children of Mr Wilde, the first Officer (Chief Officer) be reconsidered. By the early 1940's the address seems to have been the offices of a firm involved in liquidation. So when was H R Napp there? Well a further reference to the address slots in nicely between the two aforementioned occupants and also extends the nautical theme! In February 1933, "Time" magazine carried a debate regarding the late President Coolidge and his curious remedy for seasickness. This involved stuffing cotton wool soaked in a solution into his ears. I won't go into more details, except to say that one of the solutions suggested for this purpose was Psicaine, which, I quote, "may be had through H R Napp, Clements Inn, Kingsway, London, W.C.2". So we know that Napp was working at the address in the early 1930's. Now on to the man himself. Napp Pharmaceuticals Ltd. still exists today and is based in Cambridge. 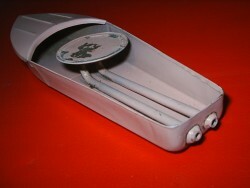 They acquired the original company in 1966. Their website reveals that they owe their name to a Swiss Chemist, Hermann Richard Napp, who together with a solicitor Ernest Alfred Clifford registered the company in 1923. So this probably places the boats in the late 1920's or early 1930's. So it is likely these 2 humble little boats, were sold along side pills and potions, which even a US President may have taken! The box indicates that Hermann Napp produced his own fuel tablets from Metaldehyde, which were available from Chemists, Ironmongers or himself. I'm sure that none of our readers will destroy the boxes of their new toys, oops, sorry, collectors models this Christmas!